In January of each year, Trust Across America-Trust Around the World makes a big thought leaders announcement. This week I was informed that I am one of the 2016 Top Thought Leaders in Trust! It is an honor to be included among many well-known academics, authors and consultants who forward the trust movement. To celebrate this honor, I am sharing a collection of blog posts about trust building. They cover what trust is, why we should build it, and what actions and behaviors support it. I hope you’ll use them to have leadership conversations about how to improve the trust in your workplace. Why Should We Build Trust? What Actions and Behaviors Build Trust? Trust transforms. 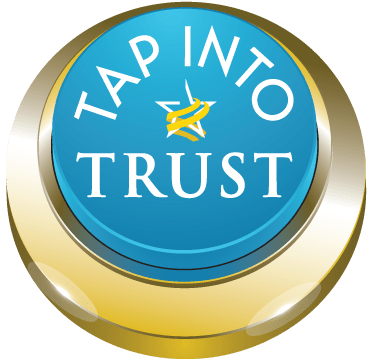 I hope these posts help you champion the deep level of trust that positively impacts people and organizations. Congratulations Linda, great job as usual. Thanks for putting all of you past collection of Blog posts on trust as well. Not sure if you have seen it, ,but Secretary Kerry gave an outstanding presentation on ethics and corruption at the World Economic Forum in Davos. You can see a copy of this on my Facebook page at https://www.facebook.com/dennis.brining. I think you would enjoy it as he presents the best systems summary of the problem and all of its impacts.